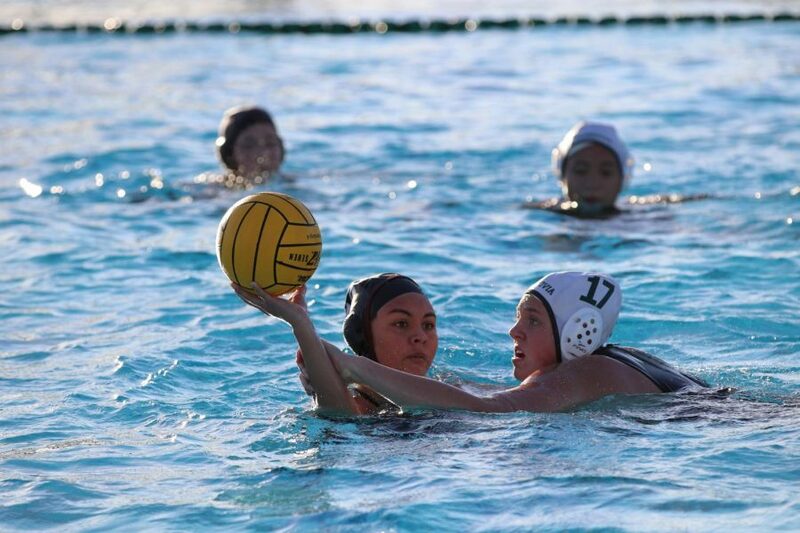 Annika Arroyo '20 pulls her arm back to throw the ball past a line of Monrovia players. 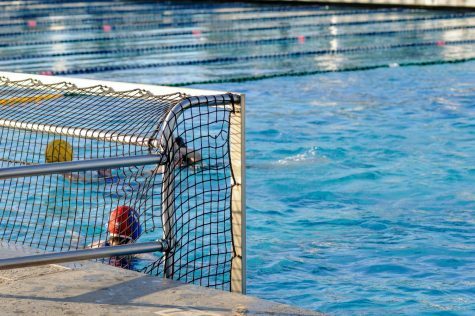 The Foothill girls’ varsity water polo team and the Wildcats of Monrovia High School found themselves fighting for their playoff lives on Feb. 5. 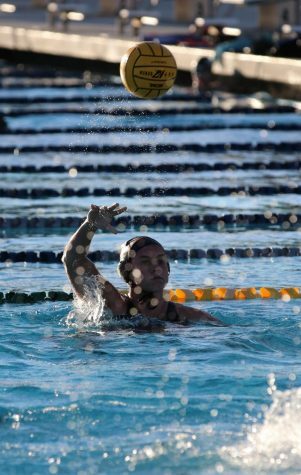 With a spot in the second round of the California Interscholastic Federation (CIF) Southern Section Division V tournament on the line, the two teams met at the Ventura Aquatic Center pool in hopes of advancing. 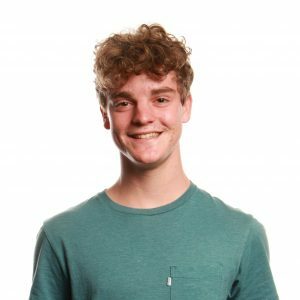 Featuring two very similar teams, the Dragons (12-11) and the Wildcats (14-14) sported near-identical winning percentages, so it was only fitting that the contest was decided in the final seconds. 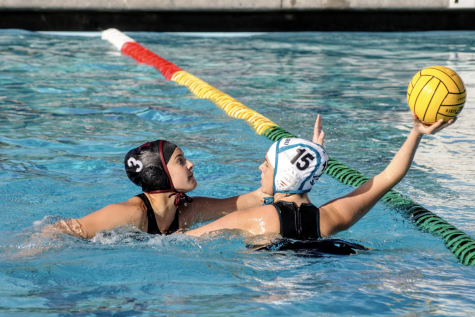 Courtesy of Annika Arroyo ‘20 and Morgan McKillican ‘20, the Dragons moved on to the second round with a last-second, buzzer-beating goal in a pulsating 9-8 victory. The game commenced with a quick goal by Arroyo, which was followed by a McKillican score shortly after. Four minutes later, Monrovia notched their first score of the contest by firing a shot from the middle of the pool, cutting the Dragons’ lead in half. After another goal from McKillican, the first quarter ended with Foothill up 3-1. Julia Malach ’20 on the offense. The Wildcats struck immediately after the second quarter began, as they cut Foothill’s lead in half within one minute. However, Heide Fedde ‘21 negated that goal 20 seconds later with a goal of her own. Monrovia was not discouraged by the quick counteraction; in fact, they went on to score twice more, creating a tie game at 4-4 heading into the second half. With momentum from the previous quarter on their side, Monrovia dominated the third quarter, putting the Dragons in a difficult situation. 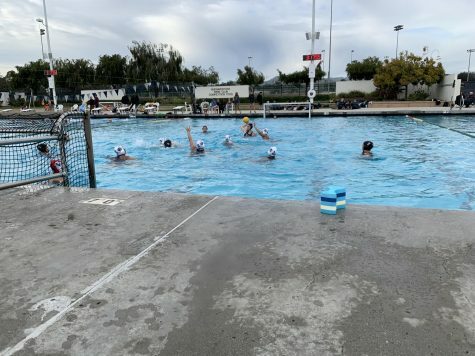 Three consecutive scores put the Wildcats up 7-4, their biggest lead of the game, but Foothill salvaged something with five seconds to play in that same quarter. Sydney Roman ‘19 scored a goal, cutting the lead to 7-5 entering the final stretch. 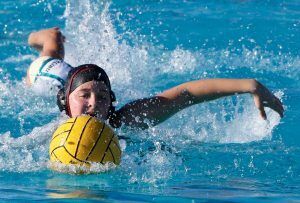 Down two goals in the fourth quarter, Foothill closed the gap relatively quickly. A goal by Julia Malach ‘20 and a converted penalty shot from Arroyo knotted the score at seven in this win-or-go-home game. With a little under four minutes to play, McKillican gave the Dragons the lead with a score. This 8-7 lead, hanging by a thread, did not last long. Monrovia put the pressure back on the Dragons by tying the game up with a little over a minute left on the clock. After a few critical defensive stops by both sides, the Wildcats found themselves with the ball in Dragons territory with 13 seconds left. A crucial steal for Foothill followed by a timeout led to the undisputed play of the game: A lob from Arroyo fell just short of entering the goal and hovered in the debatable area between goal or no goal. In that moment, the referee had made no signal indicating a goal. Luckily, McKillican was right there for the tap-in as time expired, sealing a 9-8 victory and a spot in the second round. 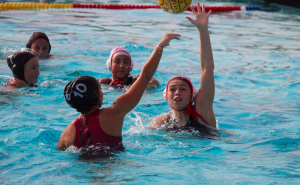 Annika Arroyo ’20 throws the ball to a teammate. 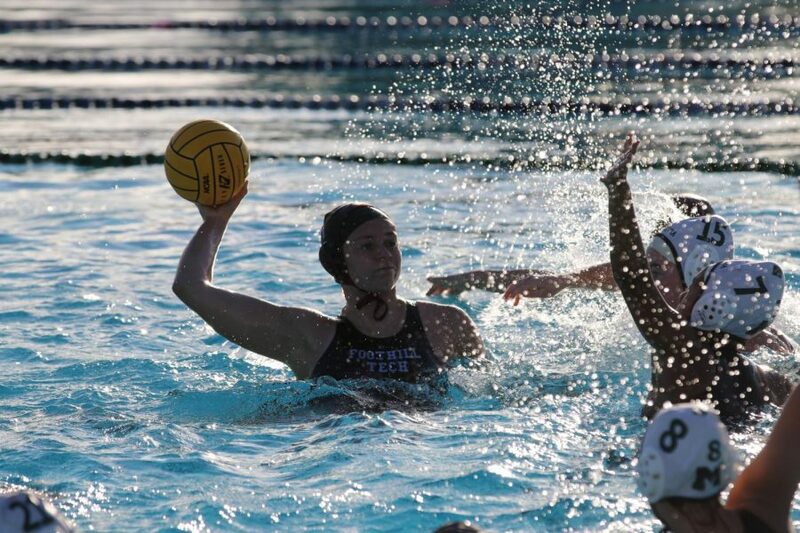 According to first-year head coach Victoria Lee, the game was a “rollercoaster of emotions,” but “in the fourth quarter it finally clicked” for the team. 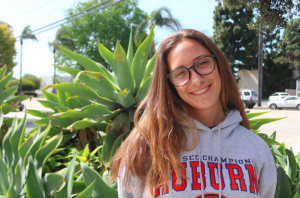 “I told my girls just everything that I’d been saying that whole entire game,” she said. When evaluating the final quarter, McKillican concluded that “we played really good” and “I think we knew we could” complete the comeback. 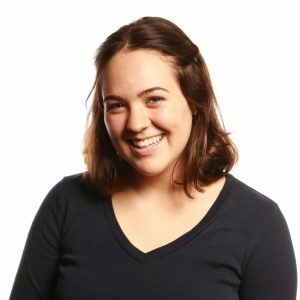 “We wanted it, we just pushed through, persevered, but I didn’t know it was going to happen but we did [it],” she said. On Feb. 7, the Dragons will travel to Glendora High School and face the Tartans in the second round of the Division V playoffs. 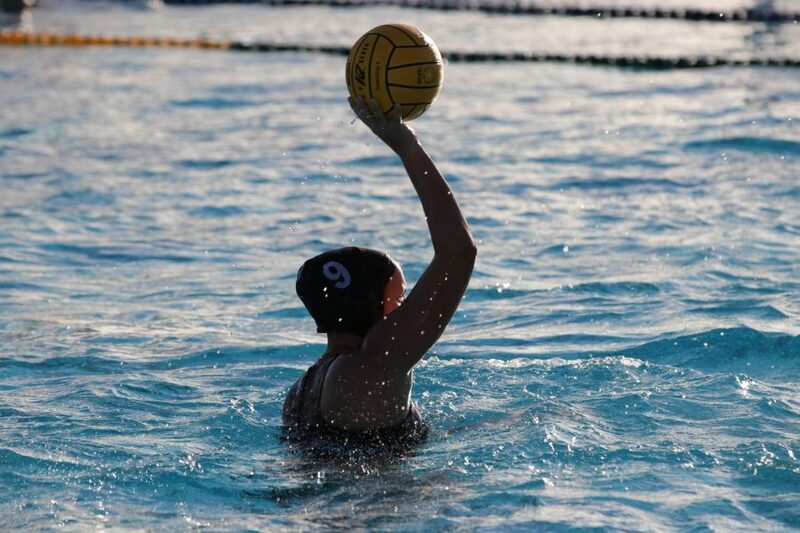 Lee noted that Glendora (27-5) will be an unfamiliar and “new” opponent for Foothill. 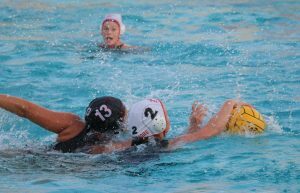 Glendora advanced to the second round on Feb. 5 with a 15-7 win over Cajon High School.